In the 16th-19th centuries, most of the people of Lithuanian towns and townships considered themselves to be Polish, they also spoke Polish, even though they were Lithuanian by origin. Historians attribute this to the fact that noblemen who defended Lithuania from the invasions of German orders were accommodated near Nevėžis River separating Aukštaitija from Žemaitija. Over time, the noblemen began using the Polish language both in writing and in their household. Until the middle of the 20th century, isles of the Polish culture remained around Šėta, Dotnuva and Gudžiūnai. 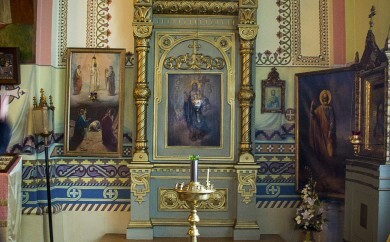 Services in Kėdainiai Catholic churches were held in the Polish language up until 1929. There are also people who speak Polish in Kėdainiai as well. Česlovas Milošas - a poet, novelist, essayist and Nobel Prize winner was born on 30 June 1911 near Kėdainiai, in Šeteniai village on the bank of Nevėžis River. He studied in Vilnius Žygimantas Augustas Gymnasium and finished the Faculty of Law of Vilnius University. During 1934–1935, Č. Milošas lived in Paris. In 1960, Č. Milošas went to USA where he was offered a position of a teacher in the Berkeley Slavic Studies Department of the University of California. Here, he was given the title of a professor. Č. Milošas novel "The Valley of Isa" reflects life in Central Lithuania in the beginning of the 20th century, the household at the time and beauty of the nature of the Valley of Isa (Nevėžis River), as well as reveals the internal feelings of a person growing up in this place. The literary work of Česlovas Milošas received literary awards. The writer's merits were crowned with Nobel Prize for Literature which Česlovas Milošas received in 1980. The works of Česlovas Milošas are well-known in many countries around the world. In 1990, Č. Milošas was granted the name of the Honorary Citizen of Kėdainiai Region. 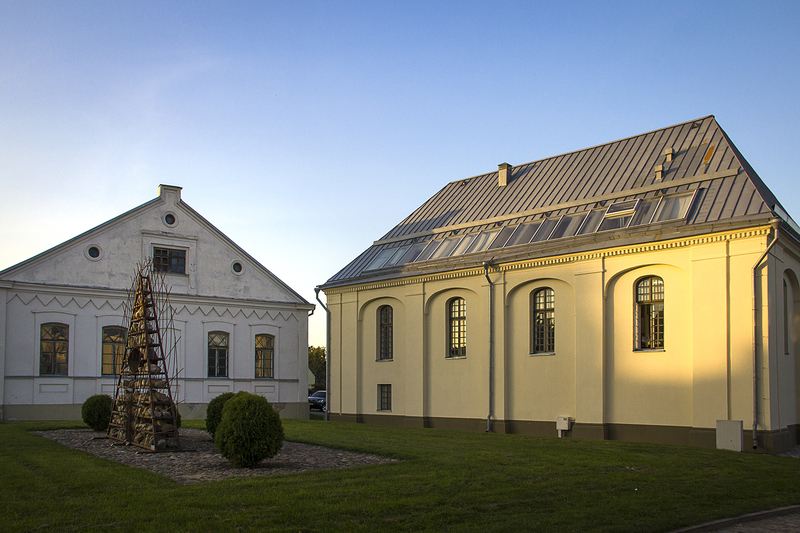 In 1999, Č. Milošas Cultural Centre, where various cultural events, international conferences and symposiums are held, opened its doors in Kėdainiai, in the manor's reconstructed White Granary of the homestead where he was born. Česlovo Milošo street, "Milošofonas", exposition for Česlovas Milošas in Kėdainiai Regional Museum, Residential Conference Centre in Šeteniai (home land of Č. Milošas), Šventybrastis (church where Č. Milošas was baptized, his great-grandparents are buried in the churchyard), Apytalaukis (his parents married in the church). In 1648, Jonušas Radvila married an Orthodox - Moldavian princess Marija Mogilaitė-Lupu. 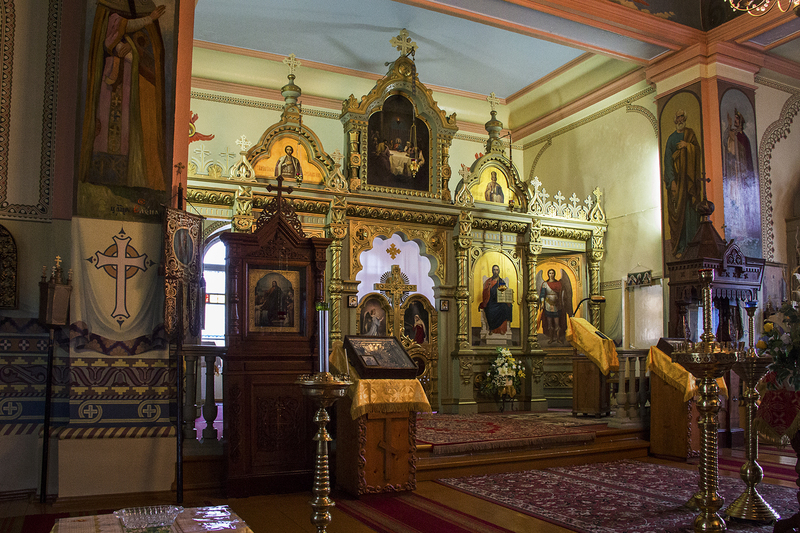 Near the Orthodox Church, in the new part of the town near Knypava market, Jonušas Radvila established a small Orthodox monastery for his wife, which was occupied by 4 monks. This is how Russian residents appeared in Kėdainiai. In the long run, the monastery and the Orthodox Church deteriorated, and only one monk remained in the beginning of the 19th century. After the third division of Zhecpospolita, a Russian army unit was established in Kėdainiai. 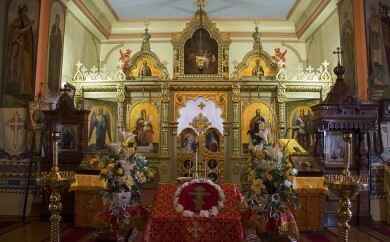 The Orthodox Church became necessary again, therefore the old Orthodox Church was restored in 1825. 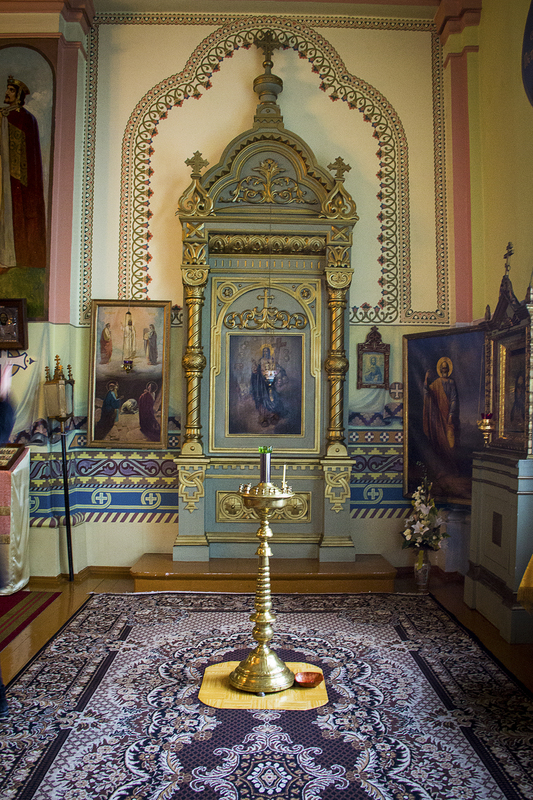 In the middle of the 19th century, under Tsar's orders, an Orthodox parish was established in Kėdainiai and a permanent priest was assigned. 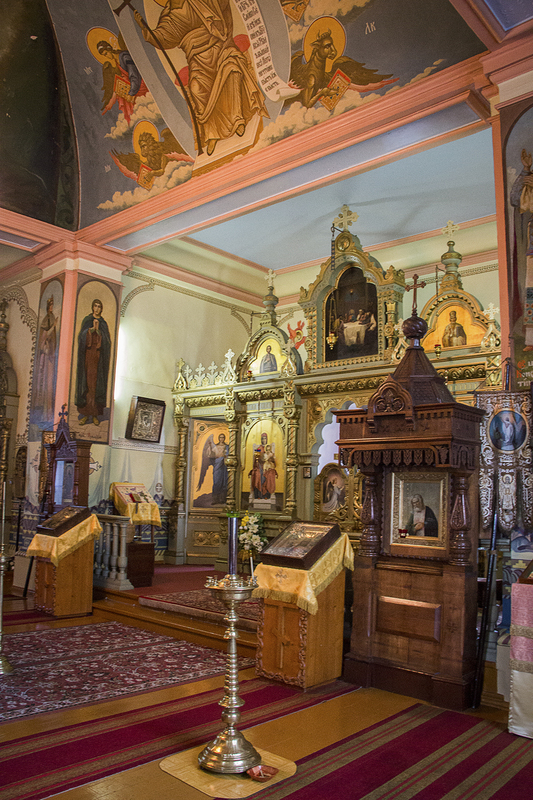 Owner of Kėdainiai Count M. Čapskis gifted a brick building to the Orthodox in Pilies street, which was turned into an Orthodox Church of the Transfiguration of Christ. 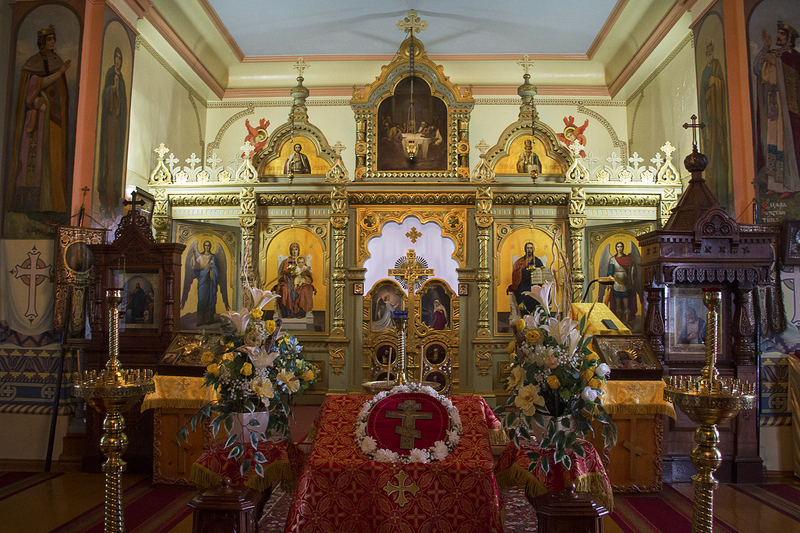 There were almost no local Orthodox in the town, therefore the Orthodox parish community was comprised of a few dozen of artillery regiment soldiers. Piotr Stolypin – Russian Minister of Internal Affairs (1906) and Prime Minister (1906–1911) was a well-known Russian personality closely related to Kėdainiai region. He lived in Kaunas in 1889–1902, when he was the leader of the noblemen of Kaunas Governorate, however he spent all of his summers with his family in his manor in Kalnaberžė (7 km from Kėdainiai). Kalnaberžė Manor belonged to Stolypin family since 1869 until World War I. The politician developed an exemplary farm in Kalnaberžė Manor using the then advanced crop rotation system. Insurance and credit companies, as well as Dotnuva Agricultural School were established under his initiative. He promoted the establishement of crop rotation in Kėdainiai region and was convinced that such form of farming was the most advanced. He used this example to justify the Russian land reform. P. Stolypin was an active parishioner of Kėdainiai Orthodox Church: he attended services, donated money and was head of the charitable society. In 2012, a memorial monument dedicated for his commemoration was uncovered near the Orthodox Church of the Transfiguration of Christ. The monument's plaque is decorated with a portrait low relief of P. Stolypin. It was created by the sculptor Romas Vilčiauskas (author of Užupis "Angel" and other beautiful works), the designer of the composition is Arvydas Urbelis. 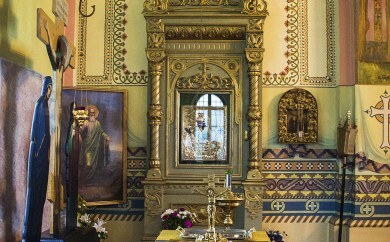 Orthodox Church of the Transfiguration of Christ, memorial plaques for P. Stolypin, Kalnaberžė Manor. Scots appeared in Zhecpospolita as early as in the 17th century. There are several versions explaining the arrival of Scots to Lithuania. According to one version, Scots ran from Great Britain from the persecution of the English people. Another version states that Scots moved to the edges of Europe searching for markets. There is also a version explaining that Scots searched for the "promised land" – the utopian Antillia. Like other international communities, Scots began establishing themselves in Kėdainiai in the beginning of the 17th century. This was related to the 1627 privilege of Kristupas II Radvila to come to the town and live in it. The Scots established themselves around the Reformed Church where they lived and built their shops. Scots were one of the first teachers in the school in Kėdainiai: in 1629, there were 4 Scots mentioned in the personnel list of the school of Kėdainiai. Scots often held high positions in the magistrate, the church and the manor: they were burmistrae, members of the magistrate and elders in the Evangelical Reformed Church. Services in the Reformed Church were held in Polish and Scottish languages. Scots started retrieting from Kėdainiai from the war, famine and plague epidemic in the beginning of the 18th century. Their departure was also accelerated by the rise of Catholics in Kėdainiai. The Scots of Kėdainiai went to Klaipėda and Konigsberg. 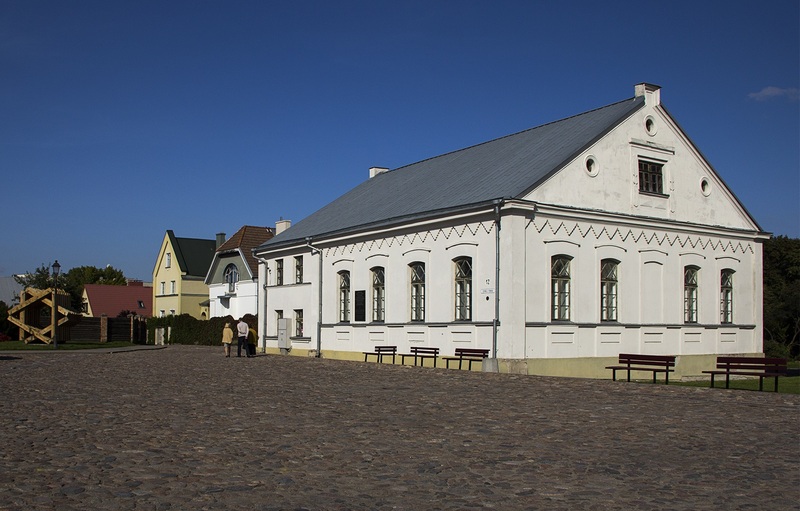 Scots greatly contributed to the prosperity of Kėdainiai in the middle of the 17th century, and enriched the town with brick architecture. In the 17th - 18th centuries, Kėdainiai might have been one of the leading towns in the entire Baltic Sea and even the Scandinavian Region according to the number of Scots. More than 120 Scottish surnames are found in historical sources. The house of burgomaster Jurgis Andersonas, the Arnet's House (Traditional Crafts Centre the Arnet's House of Kėdainiai Regional Museum), the house of Jurgis Benetas (cafe "Beneto karčema"), former tobacco store near the Town Hall (here the Scots have once established a "Societatis Commerciorum") and the house of Jokūbas Grėjus (hotel-restaurant "Grėjaus namas"), the house of the Scottish merchant Šiglis with an installation. In 1627, Kristupas II Radvila had officially allowed Jews to move in near the Old Market. Jews did not have the right to rent homes and live in other streets of the town. 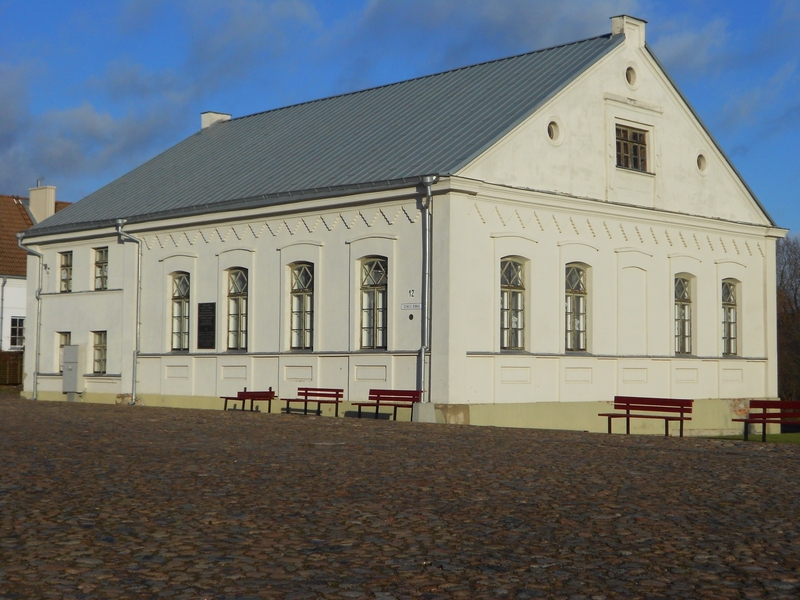 Kėdainiai synagogue, with a shelter and sauna standing nearby, was first mentioned in the second half of the 17th century. In around 1784, a brick Baroque (called the Great Summer) synagogue was built in place of a wooden synagogue, and later another smaller ("Small Winter") synagogue, which also functioned as a school, was built near the first one. This way, in the first half of the 19th century, a synagogue complex formed in the central part of Kėdainiai Old Town, in Old Market Square. The community's social, spiritual and cultural centre was formed near the synagogue, from the time the Jews established themselves in the northern part of the Old Market. In the 19th century, a one-storey building with a closed courtyards was built near the synagogues and named the butcher's house. 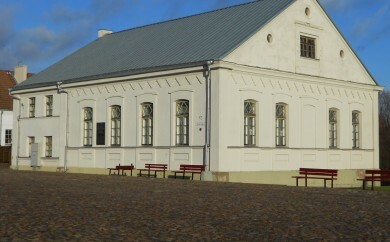 According to the older residents of Kėdaniai, after the war, both synagogues were turned into warehouses for the grain preparations board in the square which was called "Liaudies" during the Soviet era. Later, after the latter board was liquidated, Rajkoop Union warehouses were established here. Another synagogue stands in Smilgos street. On 14 September 1997, during the commemoration of the anniversary of the Gaon of Vilnius Elijahu, a board was nailed to the wall of this synagogue to commemorate the Gaon of Vilnius: In 1727, Abraom Kacenelenbogen invited a seven year old Elijahu ben Solomon Zalman, the future Gaon of Vilnius, to study Talmud in Kėdainiai. The Gaon's life in Kėdainiai is shrouded in mystery. Some sources state that he studied the Talmud in Kėdainiai for five years, others say that it was three years, while some sources indicate only half a year. His wife was a resident of Kėdainiai, Chana. During the entire 18th century, Kėdainiai Jewish Shagala and Constituency were one of the most important in the Grand Duchy of Lithuania. In the end of the 19th century, 60 percent of the residents of Kėdainiai were Jews which engaged in various businesses. It is stated that Jews were the first ones who began growing large amounts of cucumbers in Kėdainiai. After the construction of a railway, they sold their cultivated vegetables in both Lithuanian towns, as well as in Riga and Liepaja. Jews learned about agriculture in special farms. In addition to the traditional Jew businesses during the interwar period, such as manufactories, trade, sewing houses, barber's shops, bakeries and beverage stores, they also established a movie theatre "Rekord" in Kėdainiai. There were mills, mechanical workshops, hotels, clocksmen, photographers, printers and many Jews engaging in other businesses. The life of the Jewish community of Kėdainiai became more active after Lithuania's independence was declared in 1918. Jewish schools were established, as well as shelters for orphans and the elderly, and a sauna which was fully sufficient for all the residents of the town. Jewish cultural, sports and political organizations started operating. Three former 18th-19th century synagogue buildings were preserved in Kėdainiai. An Art School is established in the Great Summer Synagogue. The Small Winter Synagogue has a Multicultural Centre where visitors can view an exposition of the Jewish community and the Holocaust, and where various exhibitions, concerts, tours and educational lessons on the subjects of the Jewish culture and multiculturalism are organized. It is planned to restore the synagogue on Smilgos street and dedicate it for the needs of Kėdainiai Art School. The Great Summer Synagogue (currently the Art School), the Small Winter Synagogue (currently the Multifunctional Centre), 19th century synagogue on Smilgos street, the house of the tent festival "Sukot", Kranto II street, the Gaon of Vilnius Elijahu, monument to the Holocaust, cemetery on A. Kanapinsko street, location of the Holocaust in Daukšiai village, Šėta synagogue. German people in Kėdainiai or "a town within a town"
It is believed that German merchants started visiting Kėdainiai in the middle of the 15th century. German Lutheran community (the settlers called themselves the "Augsburg's Parish", they most likely came from Saxony as sources mention saxon houses - around 80 families - that stood in Janušava were Germans lived) was established in 1629. Duke Kristupas II gave them land, exempted them from taxes for ten years and gave them the right to freely leave Kėdainiai without losing their accumulated assets. The Duke named the forming German settlement Janušava in honour of his son Jonušas Radvila (Janusz in Polish). The German community was rich and influential, therefore it secured a self-goverment and the right to have a coat of arms, as well as elect a burgomaster. From a legal point of view, this was an almost independent entity named Jonušava or the New Kėdainiai. At first, the Lutherans shared a church together with the Evangelical Reformers, but later built themselves a wooden church and a brick church whose constructions were complete in 1672. At around 1640-1642, a renowned doctor of medicine and philosophy Adomas Freitagas arrived in Kėdainiai. He was a personal doctor of Jonušas Radvila, he taught mathematics in a reformed gymnasium and supervised the restoration works of the castle of Biržai. He became known across the entire Europe after writing a book about military fortifications "Architectura militaris nova et aucta", which was reprinted in German and French languages as much as seven times. He was buried in Kėdainiai, in a Lutheran Church. His 17th century original epitaphic plaque was preserved. In the 17th - 18th centuries, most of the doctors and pharmacists in Kėdainiai were Germans. There are chapels and burials remaining in the church and next to it, one of which is of the postmaster of Kėdainiai and doctor of medicine Frydrichas Kaneinis who risked his life to help the sick during the plague in Kėdainiai in 1709–1710, however he died from the plague himself. 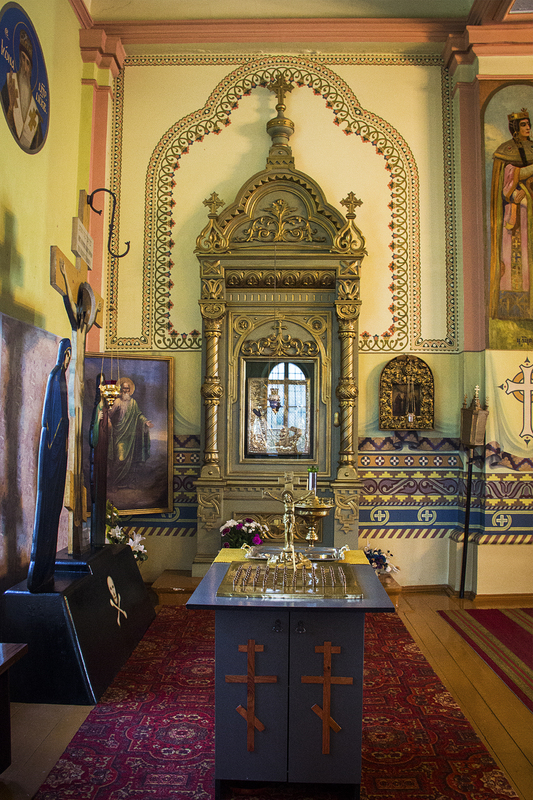 The chapels of the families of Counts Totlebens (the remains of the owner of the town, count, general and the hero of Sevastopol Eduard Totleben were buried here for awhile) and doctor Merkurijus Launė stand out with their splendor. During the Northern War, King Charles XII of Sweden visited Kėdainiai on 15 December 1701 with 1100 horsemen and infantrymen. He was in the town for two days. It is said that the king attended the services in the Lutheran Church, and then went to Kaunas. In 1929, the parish celebrated its 300th anniversary, during which a copper bell with a molded image of King Charles X of Sweden was lifted to the tower. The bell was gifted by the Swedish and Lithuanian Society. During the upheavals, the Lutheran and St Joseph's Churches "exchanged" their bells. In 1940, the German community repatriated to Germany. During the Soviet era, a tannery warehouse, and later – an exhibition hall was established in the Lutheran Church. The Lutheran Parish was restored in 1993. 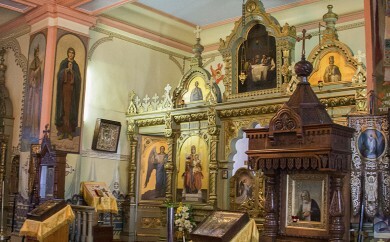 Valuable 17th century frescoes were preserved in the church. Lutheran Church and churchyard with memorial monuments, Šviesioji gymnasium where Lutheran Adomas Freitagas worked. 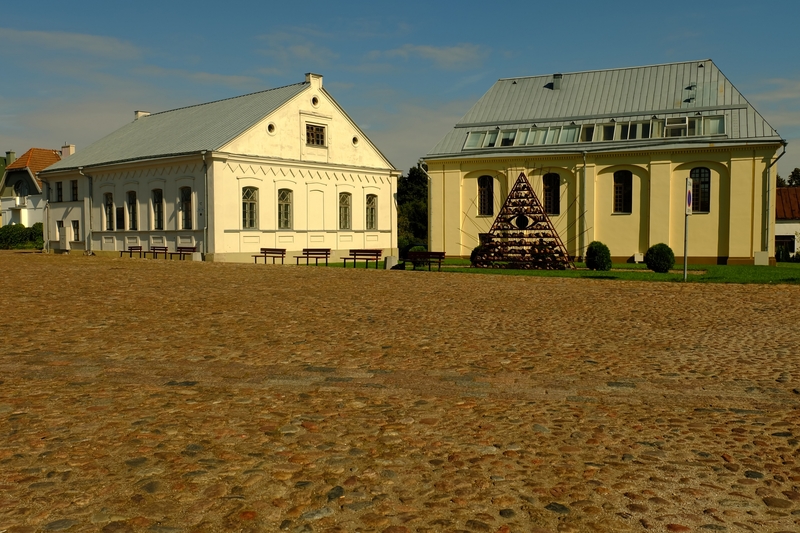 16th–17th century Kėdainiai is one of the reformation's cultural, religious and educational centres in Lithuania. In the 17th century, the Evangelical Reformed Religious Community was the most influential community in Kėdainiai. It began operating in the second half of the 16th century, and became the dominant one since 1600. 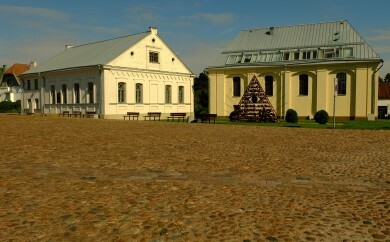 In the 17th century, Kėdainiai became the most important centre of this confession in Lithuanian lands of the Grand Duchy of Lithuania under the rule of the Dukes of Biržai – Dubingiai branch Kristupas and Jonušas Radvila of the protestant Radvilas family. Since they were reformers, Radvilas followed the following principle in their lands: "Whose realm, his religion" (L. cuius regio, eius religio), therefore they first of all advocated the Reformed Church. The magnificent Renaissance Evangelical Reformed Church that reached our times was built in 1652. The constructions of the church were funded by Kristupas II Radvila in 1631, and its constructions were complete by his son Jonušas Radvila in 1652. 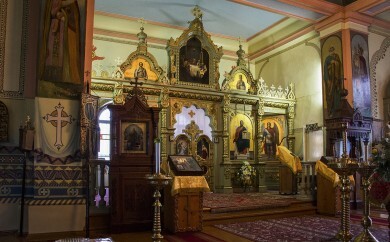 The 17th century panels, Mannerism style pulpit and the chandelier were preserved. The basement contains the mausoleum of Dukes Radvilas where Radvilas family members are buried in decorative 17th century Renaissance and Baroque style sarcophagi. In 1625, the owner of the town Kristupas Radvila and the Reformed Church Synod established a parish school. In 1647, Kėdainiai Reformed Secondary School became a gymnasium which, just like the Amsterdam Gymnasium, was called Šviesioji (L. – Gymnasium Illustre). At the time, Kėdainiai "Gymnasium Illustre" was the main protestant school of higher education in the Lithuanian lands of the Grand Duchy of Lithuania. In 1652, the gymnasium was transferred to the ornate Renaissance style two-storey building in Didžiosios Pilies street. Constructions of the new gymnasium were funded by Duke Jonušas Radvila. Kėdainiai Gymnasium was a Latin language based humanitarian school which prepared future reformed priests for studies in protestant European universities. Students were taught according to the method of the most well-known philosopher and teacher in Europe, Czech Janas Amosas Komenskis. They were also taught from textbooks written by the aforesaid teacher. The gymnasium had teachers and scholars that were well-known at the time. One of them was Adomas Freitagas. He originated from Torun, but came to Kėdainiai under the invitation of Jonušas Radvila. Adomas Freitagas was well-known in Europe as an author of books about military architecture. In 1631, in Leiden (The Netherlands), he published his most famous book "Military architecture" (L. Architectura militaris), which was reprinted in German and French languages as many as seven times. Reformers and Lithuanian personalities in Kėdainiai prepared the most important 17th century Lithuanian reformed publication "Knyga nobažnystės krikščioniškos", which was printed in 1653 by a printing house established next to the gymnasium. It was one of the largest 17th century publications in Lithuanian language. In 1865, it was closed due to the active participation of the gymnasium's students and teachers in the 1863 Uprising. The gymnasium's large library comprised of 15000 volumes of books was transferred to Vilnius School of Sciences and Kaunas Gymnasium. The Evangelical Reformed Church and the Mausoleum of Dukes Radvilas, Šviesioji Gymnasium, the Arnet’s House, the House of Rectors, Kėdainiai Regional Museum.